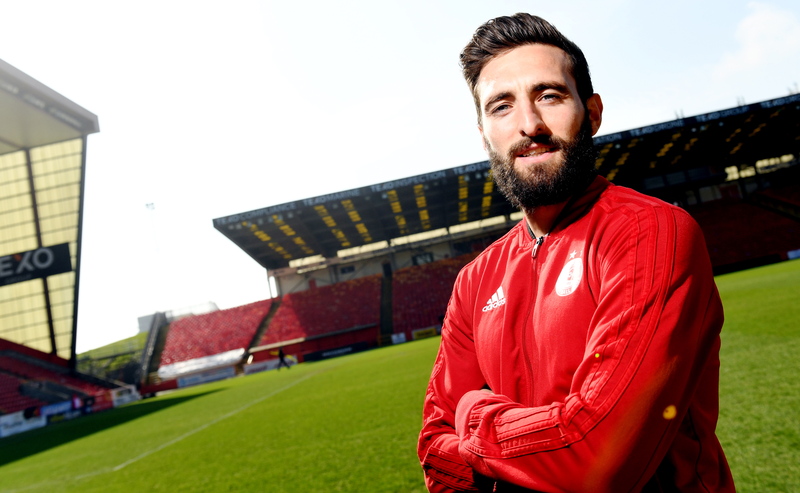 The Aberdeen captain was singled out by Dalziel after the 3-0 defeat to Kazakhstan last month, with the former Rangers and Raith Rovers playing saying he did not know what Shinnie brought to Scottish football. That 3-0 loss in Nursultan hurt Shinnie and he is honest in his appraisal of his own performance. However, he reckons some criticism went too far on a night where the whole national side underperformed. He said: “I’m aware of the criticism but I don’t look at it. I get told from various people but I stay away from it. Some of the things that were wrote about me were a bit harsh – one guy saying he doesn’t know what I offer to Scottish football is over the top, considering what I’ve achieved in Scottish football so far. Criticism comes your way when these things happen and you have to accept it. “It makes it harder for me – people are going to criticise you but the worst part was letting myself down. I’m desperate to play for my country and although it was at left-back, where I haven’t played for a while, it’s a position I know well. The whole night in general, the whole team didn’t play great which added to it. If the rest of the team played well, maybe they could have carried me a wee bit, but it was just a bad night for the national team that we have to take on the chin. “It was a tough week being away. It was a massive learning curve for me but I never doubt myself. Some of the stuff that was written wasn’t exactly what I said but I’m a man that leads my club. Although I’m not a captain there, I’ll never shy away from it. I’ll own up to it. I’m older but I’ll learn from it. Shinnie was roundly backed by his colleagues at Aberdeen, in particular manager Derek McInnes who slammed the “out or order” remarks in defending his skipper. Such support from those in Pittodrie corridors will make the decision over his future even harder to make, with the ex-Caley Thistle man accepting the time is approaching where he will need to decide one way or the other. He added: “We’re getting to the stage where I have to decide soon. It’s a tough decision to make and there’s no panic or rush from the club, but they’ll want an answer. I wouldn’t say I’ve made the decision – there’s options and different things to think about. I’ve got an ever-growing family, with a little girl and another one on the way in the summer.